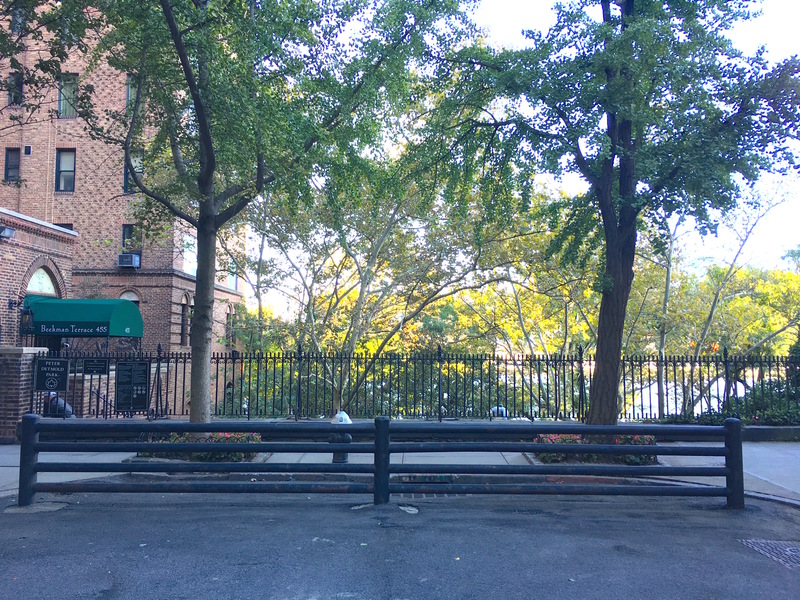 Walk to the far end of East 51st Street, past the bishop’s crook lamppost of lovely Beekman Place, and you’ll find yourself at a dead end blocked off by a cast iron fence. The high, spectacular views of the East River are enchanting. But there’s more to this spot than immediately meets the eye. 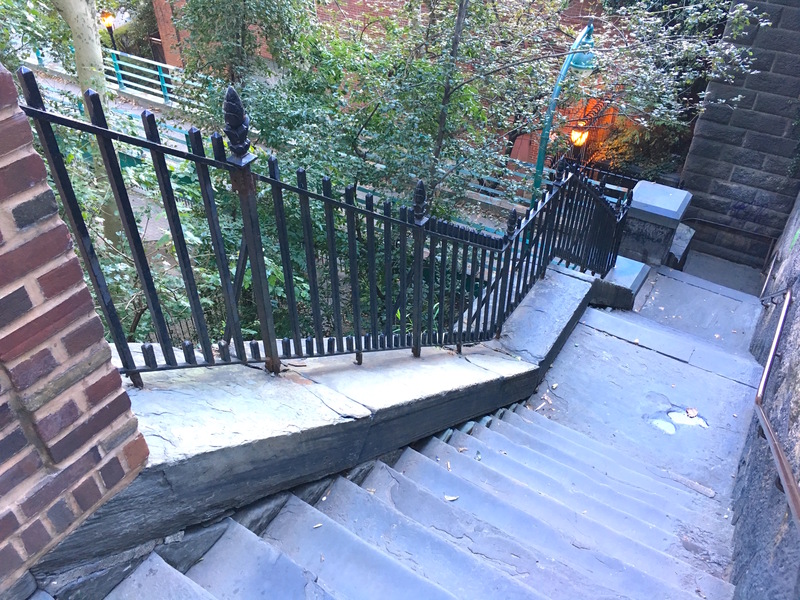 To your left beside the Gothic-style entrance of a prewar apartment building, you’ll see the beginning of a stairway—then steep steps surrounded by brownstone. They’re like a portal to a mysterious part of Turtle Bay few know about or visit. 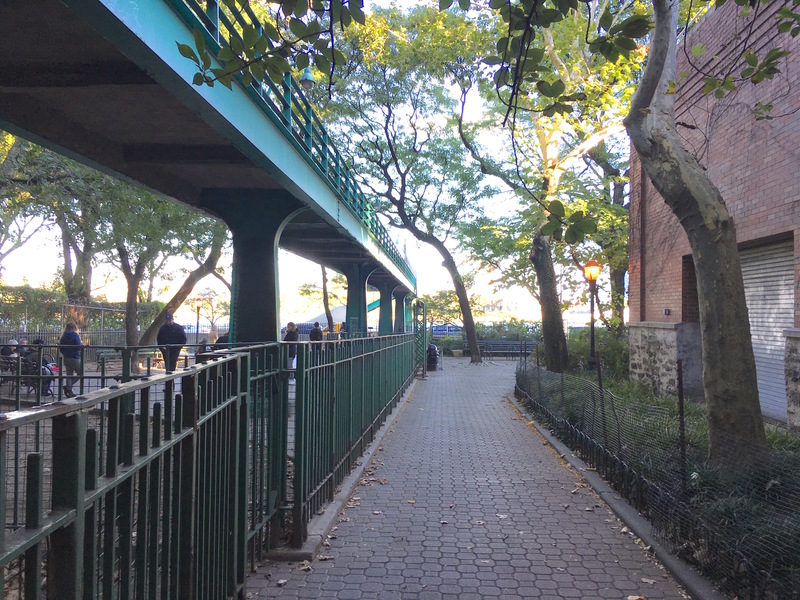 The steps take you to Peter Detmold Park, a quiet strip of gazebos, park benches, and a dog run beside the river, with trees partly shielding the FDR Drive. The serenity of this hidden park stands in contrast to the tragedy that inspired its name. Peter Detmold (below) was a World War II veteran who made his home in Turtle Bay Gardens, the beautifully restored brownstones spanning East 48th and East 49th Streets between Second and Third Avenues. 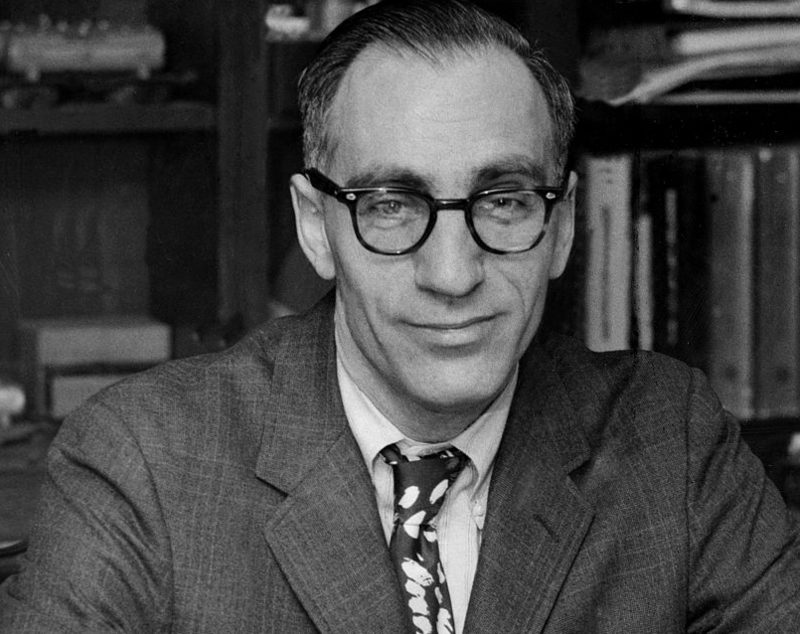 As president of the Turtle Bay Association, he led the fight in the 1960s and early 1970s to preserve the character of the neighborhood. 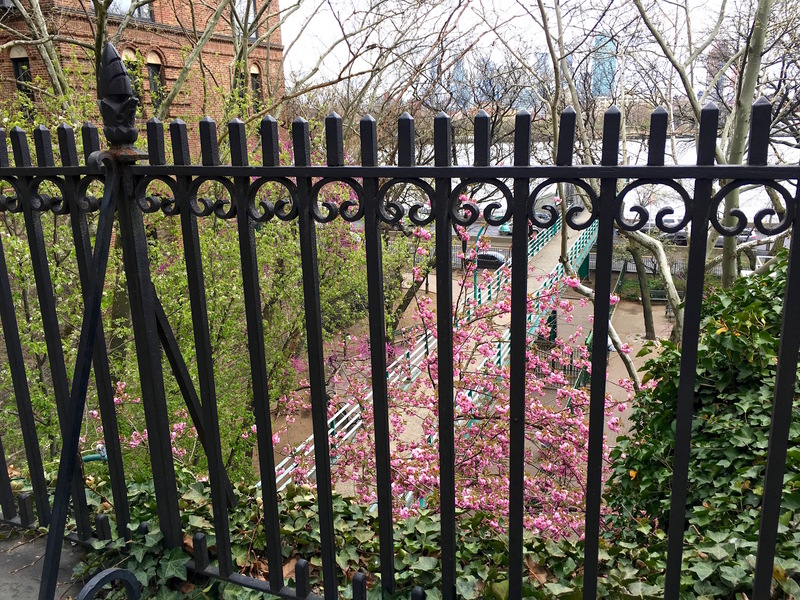 “When landowners began to rent out office space in residentially zoned areas, Detmold defended the rights of tenants and homeowners, protecting the quiet, neighborly spirit of the area, now a designated historic district,” states the NYC Parks website. But Detmold’s time as a community activist was cut short. On the night of January 6, 1972, after walking home from a Turtle Bay Association meeting with two colleagues, Detmold was murdered in the stairwell of his apartment building. “According to police reports, the 48-year-old Detmold was stabbed as he entered his five-story walk-up building,” explained Pamela Hanlon in her book, Manhattan’s Turtle Bay: The Story of a Midtown Neighborhood. 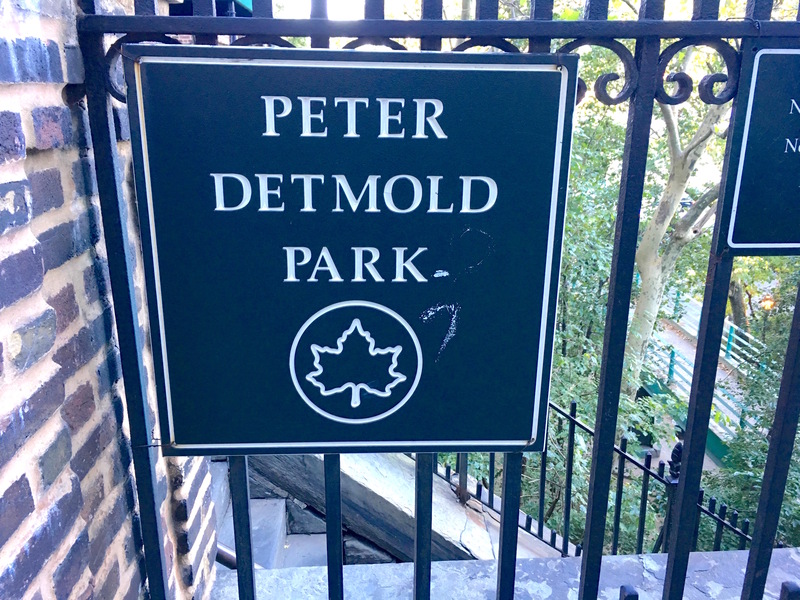 The park was named for Detmold later that year. Almost half a century later, his murder remains unsolved.